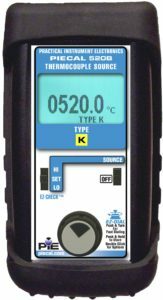 The PIE 520B Thermocouple Simulator simulates a dedicated standard thermocouple curve over the entire industrial temperature range. 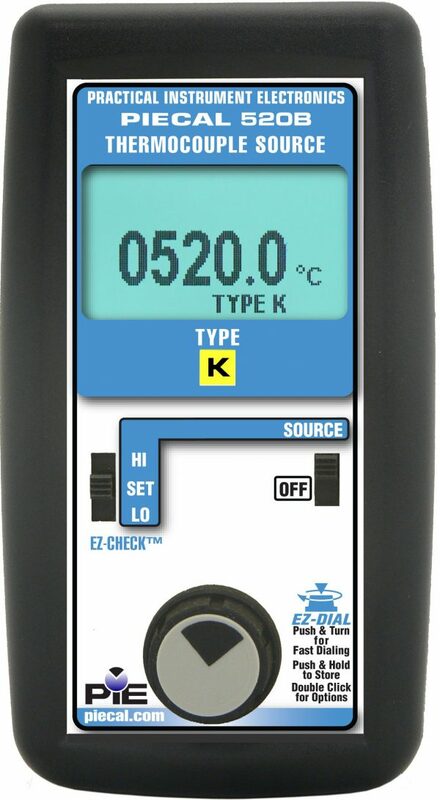 The PIE 520B provides precise temperatures for inputs to all types of instruments such as transmitters, recorders, controllers, alarms, data acquisition, and computer systems. 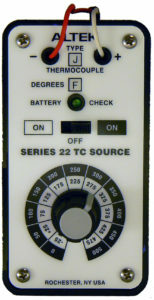 PIE 520B is cold-junction compensated for changes in ambient temperature. 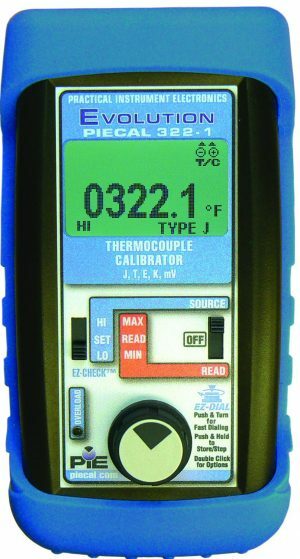 The PIE 520B offers the highest performance and functions in its class by exceeding the accuracy and functions of many higher priced thermocouple calibrators. 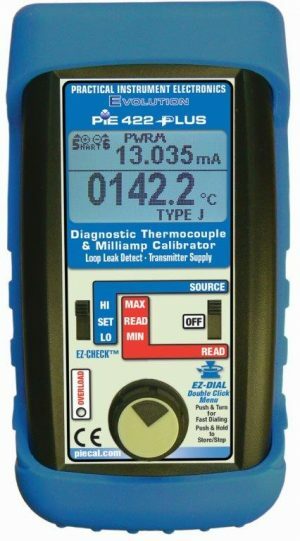 The low cost PIE Model 520B is an “easy as PIE” to use thermocouple source for checkout and calibration of all thermocouple instruments in the field, shop or control room. 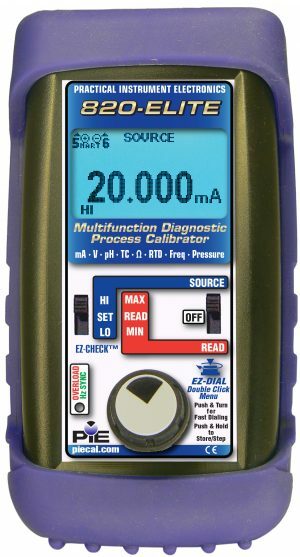 Works will all instrument ranges across the full range in degrees C & F. Not limited to 22 temperature steps!